Wednesday, January 20, 2016, is penguin awareness day (not to be confused with World Penguin Day—we'll take any chance to celebrate penguins, amirite?). What a great excuse to take a break and visit the penguins mid-week! While we have regular talks and feedings throughout the day, we thought we would arm you with some extra fun facts about these amazing birds. 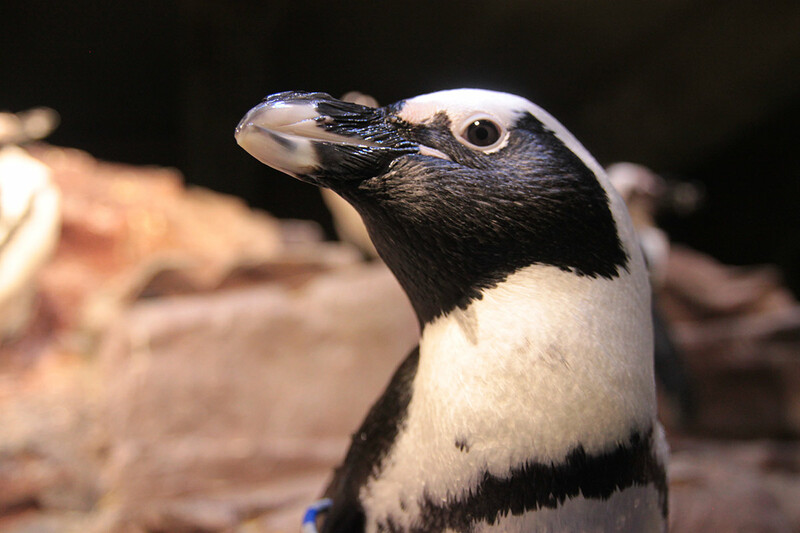 African penguins are closely related to the Humboldt, Galapagos and Magellanic penguins. They are also known as jackass penguins, because they make a sound that is very similar to a donkey's bray. 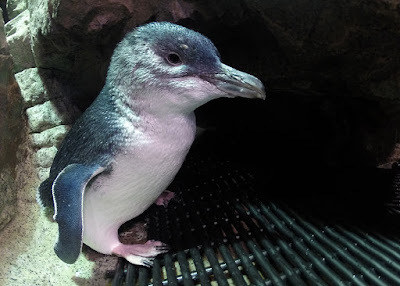 Little blue penguins are the smallest species of penguin. Some scientists believe they are the first penguins that evolved from flying birds. Southern rockhopper penguins are the only species that will dive into the ocean feet first rather than head first. Being aware of penguins also means understanding some of the threats facing them in the wild, including climate change. Temperate penguins are able to inhabit places where upwelling brings cold, nutrient-rich ocean water to the surface, which creates a bountiful food supply. These penguins periodically face extreme food shortages when El Niño events usher in warm water and prevent cold water from reaching the surface. Leading climate scientists believe that global climate change will lead to stronger El Niño events in the future. Other species of penguins are faring better with shifts in ice and water currents. Learn more here. At the Aquarium, we participate in species survival plans (SSP). 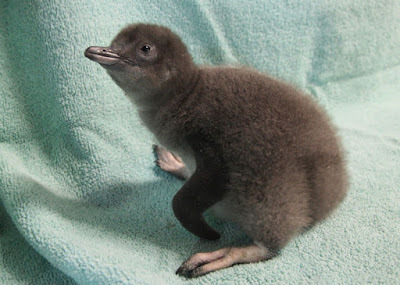 This ensures that the penguins that live here and at zoos and aquariums across the country remain genetically healthy. It also means that we often look forward to chicks being born here at the Aquarium! There's nothing cuter. 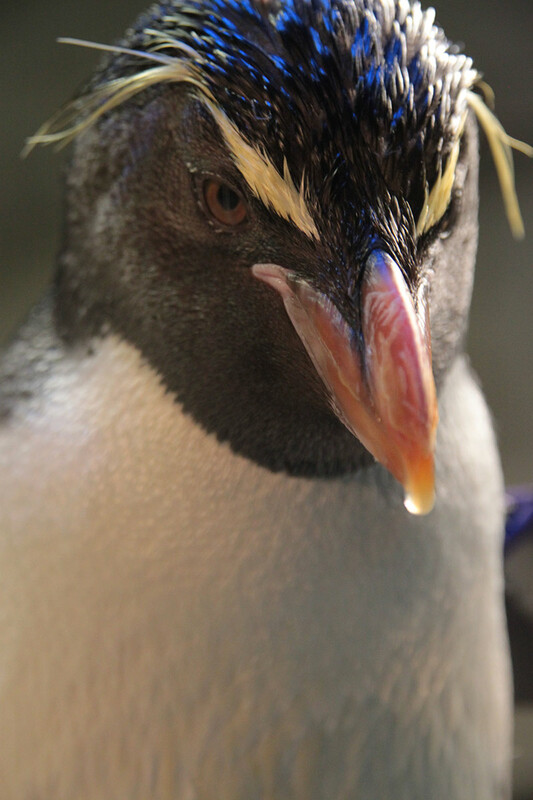 Come learn more about how the Aquarium is helping penguins here and around the world! Plan a visit to see the penguins. How adorable!It is so cute. Beautiful pictures! Our family loves penguins so much that I wrote a blog post about our favorite penguin books for other penguin enthusiasts to enjoy!